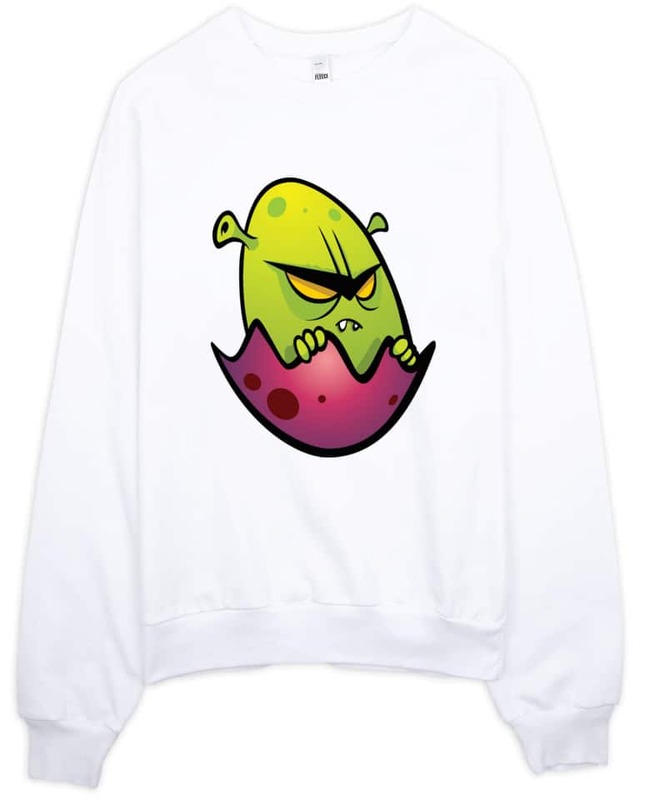 Designer sweatshirt by Squeaky Chimp displays a monster alien in an egg. Alien Egg is printed on an American Apparel crew necked sweatshirt. This is a unisex size so women should order a size smaller.